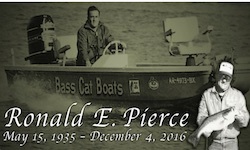 Mountain Home, AR (December 6, 2016) -Bass Cat and Yar-Craft mourn the loss of Bass Cat founder and industry leader Ron Pierce, who passed away over the weekend. 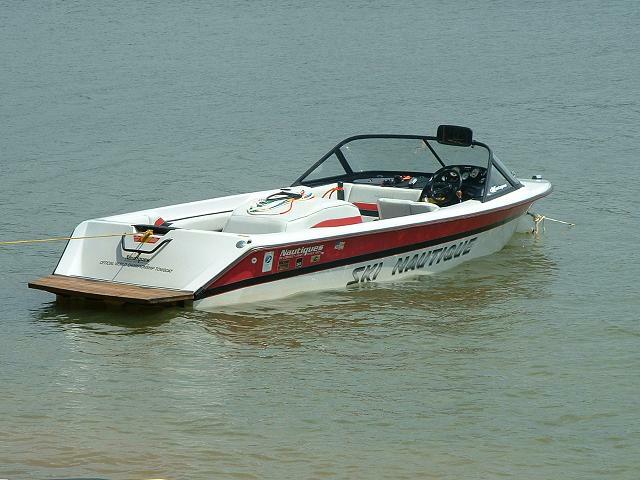 Ron, along with his wife Jan, started Bass Cat in their two-car garage in 1971. Over his 44-year career, Ron took Bass Cat from its humble beginnings and transformed it to become the industry’s highest quality bass fishing boat manufacturer. In addition to Ron’s legacy at Bass Cat, he achieved a successful career in the plastics industry, served as the Mayor of Mountain Home from 1976 to 1986, and even had an Oval Office meeting with President Reagan. “It was always such a pleasure to visit with Ron Pierce; I am truly saddened by this news,” stated Correct Craft CEO Bill Yeargin. “Ron was not only an important leader in the bass industry, but also a dear friend to all at Bass Cat and Yar-Craft, and he will be missed by many,” Yeargin added. Memorial services will be held Sunday December 11th at the First Baptist Church Mountain Home, 2:00 PM CST.